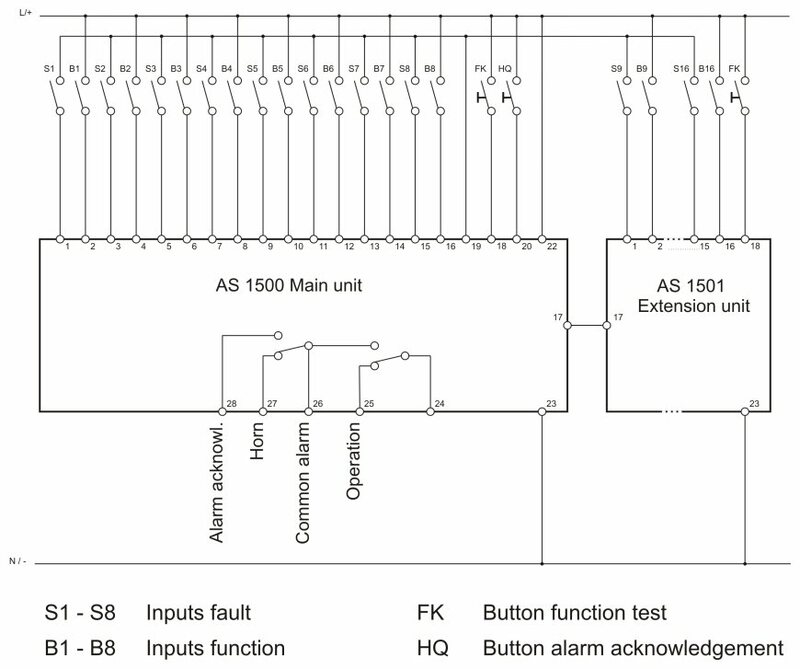 The AS1500 is a status indicator and annunciator system with 8 inputs. A extension module can be added to the system to handle up to 32 messages. The LEDs illuminate continuously during normal operation, and flash when there is a fault. If a fault contact closes, the horn output closes and remains so until acknowledged. The master module has an acknowledgement button for acknowledging faults, or alternatively an external input can be used. The potentiometer on the unit front is used to set the on-delay (up to 160s) for all inputs. 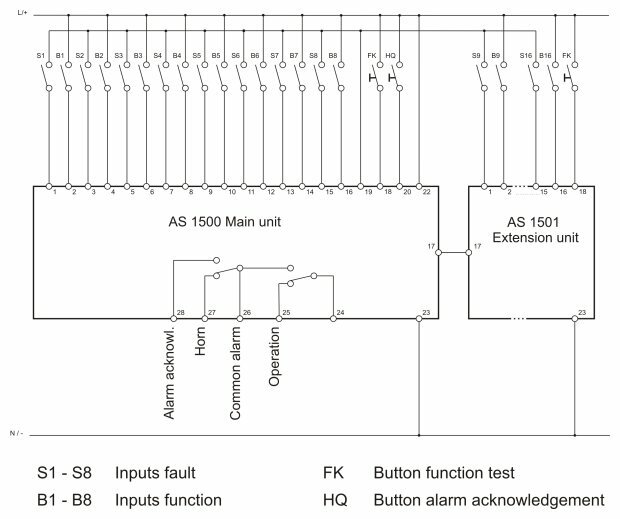 Designed for DIN rail assembly. 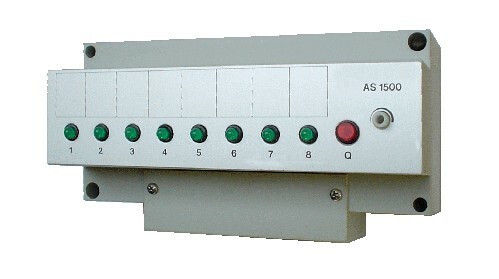 The AS1500 is discontinued. Some spare parts are available, please contact us for more information.